Almost 34 percent of Americans said they planned to make at least one financial resolution for 2019, reported US New & World Report. Rebalancing one’s investment portfolio was one of those declarations, together with saving more, spending less and reducing debt so, if you haven’t done it already, now’s a good time to sit down with your investment manager to review, or start, a portfolio. The first thing to do is review your goals and lifestyle. Are you planning to buy a house? Do you want to set up trusts for your kids? What does your retirement scenario look like? While you may THINK you’re too young to think about retirement, it’s here in the blink of an eye. Are you financially conservative, or are you a risk-taker? Then, you need to be sure you’re working with the right investment manager FOR YOU. Are your values and philosophy aligned? For instance, if you don’t like risk, you don’t want to work with someone who encourages and promotes it. You also need an investment manager with the expertise and determination to adapt to the ever-changing market conditions. “It’s important to understand that it’s more than just “picking stocks” to complement a fixed income portfolio, said Alex Oxenham of Hilton Capital Management. The firm handles over 1.5 billion in equity strategies, and is located in Garden City, Long Island, New York. “I approach all potential investments from a global macro economic perspective, taking into account fiscal/monetary policy, interest rates, commodity and government pricing and general business conditions. With some careful planning and a lot of strategy, you can make this your year of financial safety and security. Small-cap equities: Small-caps can be companies from any industry, ranging from pharmaceutical to health, technology, mini marts and motor companies, among others. They have a market capitalization of around $300 million to $2 billion. While they tend to have a higher stock price, the number of available shares is what makes them “small,” which gives the individual investor a larger percentage of the company. It then triggers the SEC filing requirements which makes the purchase known publicly and increases stock even further. Since institutional investors purchase in large blocks, they almost never set off SEC triggers. Small caps can be a little riskier than mid-cap and large-cap companies, but they can also offer significant growth potential. They do require extensive research; don’t look only at what’s trending, but explore growth potential, corporate fundamentals and track records. Mid-cap equities: Mid-caps have a market capitalization of $2 to $10 billion, are less risky than small-caps, have great potential for growth–but investors must know that they are also reactive to interest rates and market ups and downs. 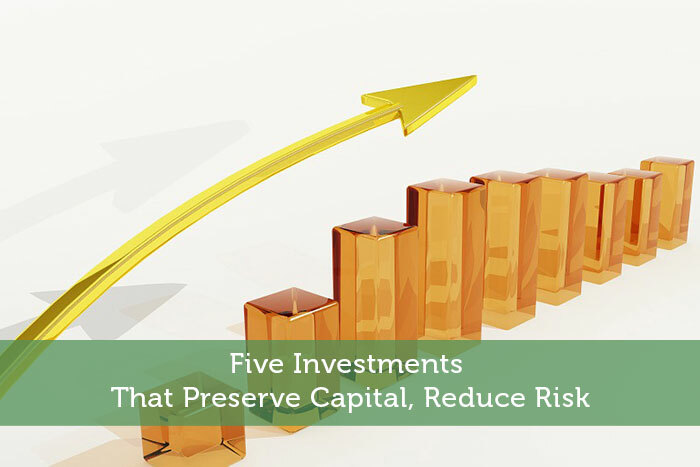 Mid-caps can be purchased directly through company stock or mutual funds. While large-caps are considered the least risky, they don’t also offer the same potential for income growth, so they aren’t on this list. REIT ( Real Estate Investment Trust) is where you buy shares of a building, land, mortgage company or some real estate security. A REIT is modeled after a mutual fund–you buy the shares just as you would stocks– and gives investors an opportunity to own real estate, participate in development and, at the same time, receive dividend-based income. While REITS do offer cash-flow stability, growth can also be slow. MLPs are unique investment opportunities that combine the tax benefits of a limited partnership with the liquidity of a publicly-traded company. There are significant tax benefits and, since the company trades on the exchange publicly, there is cash-flow distribution–stocks. While they do yield dividends, the amount varies according to interest rates.